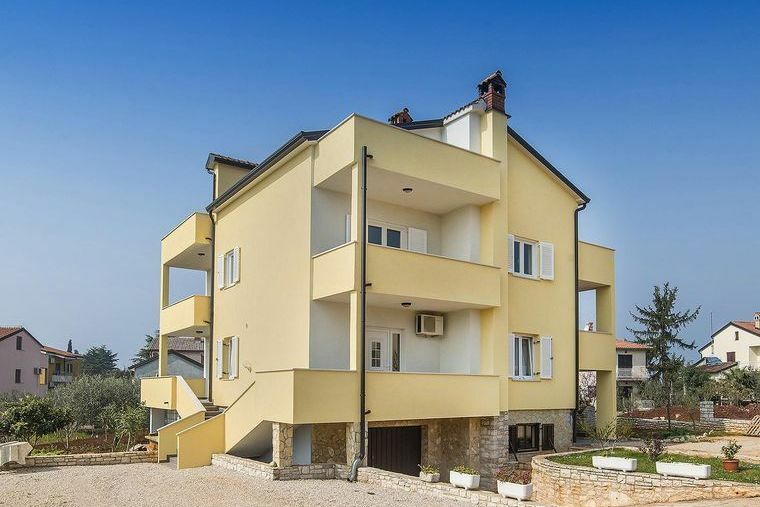 Modern apartments are located in a quiet place Lovrečica San Lorenzo, only 6 km from Umag. 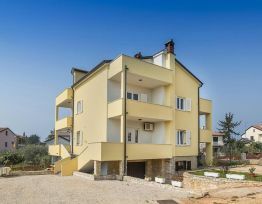 The house is located near the sea, only 5 minutes distant.Every apartment has air conditioning, tv satellite receiver, kitchen, refrigerator, terrace, wired and wireless internet, and parking space, barbecue. The camsite Ladin Gaj is near, where you can find many sports and tourist facilities. Pets 7,00 euro per day. 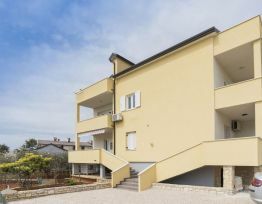 Goltes Apartments are an ideal place for your vacation. 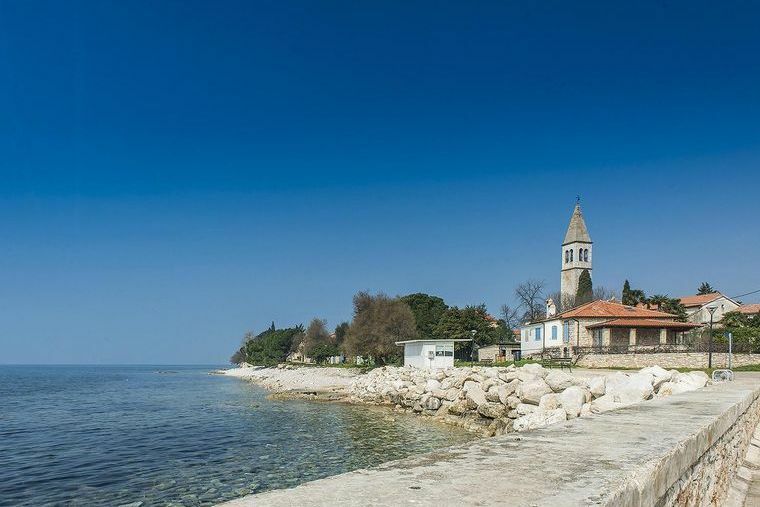 Umag is well known tourist destination, and is also famous among recreational and professional athletes. For more than twenty years, the prestigious tennis tournament ATP Croatia Open is held here, in which many famous tennis players (Carlos Moya, Goran Ivanišević, Novak Đoković) participated. 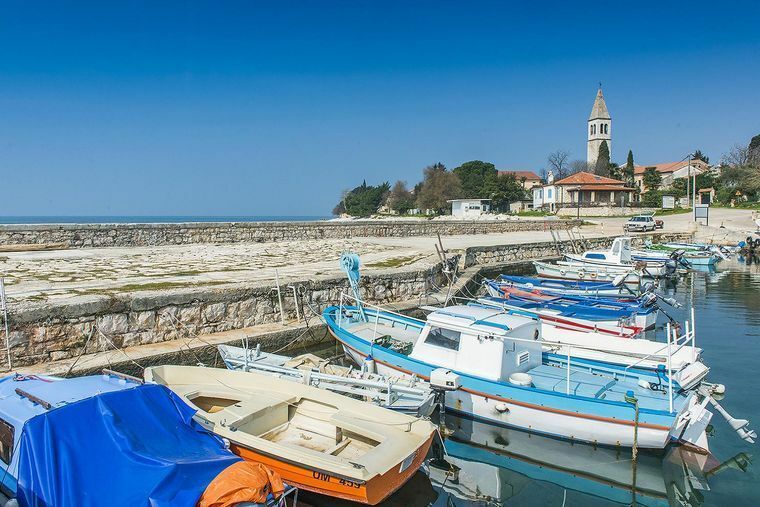 Umag and its region are made for vacationing and recreation. Along with swimming in the clear blue sea, you can try other aquatic sports, such as scuba diving water skiing, sailing, surfboarding or jogging, and mountain climbing. 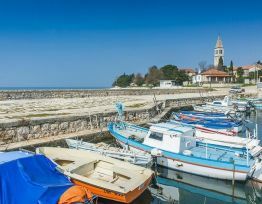 Umag also has cultural heritage that can be seen at the Town Museum or in the streets of the old town on the peninsula, with a preserved network of lanes and medieval urban structures. The peninsula on which the old town is located used to be separated from the mainland. It was surrounded by defense walls built in the 10th century, which are only partially preserved on the north-east, near the Town Museum. In the narrow alleys you will see Gothic and Renaissance houses with coats of arms, and especially interesting is the house in Epiphany street, whose front contains an old Christian sarcophagus from the 5th century. The Town Museum is located in a medieval defense tower, known as Biskupska palača (Bishop's palace). The collection includes many interesting items from the Roman age from the archaeological sites in the Umag area, such as painted oil lamps, tombstones, and vessels. A part of the Museum is used for exhibitions of modern art. Must see is also the Parish Church of the Assumption of the Blessed Virgin Mary and St Peregrine. The church has seven altars and very valuable paintings, statues and church inventory. The church has also an organ from 1776, from which, in late August each year, emerge beautiful sounds of the contest and festival „Organum Histriae“, whose objective is promotion of organ music in Istria. Be sure to visit the hinterland, because there you will find excellent wine makers, rural estates and promenades and cycling routes, and other manifestations. In early August, pasta with Bolognese, vegetarian, seafood or tuna sauce is prepared in huge pans for thousands of guests on Sloboda square. The quantities of pasta, tomatoes, minced meat, onion, tuna, vegetables and olive oil are measured in hundreds of kilograms. Aside from excellent food, entertainment, prize draws and fireworks are guaranteed, as well as very good night life.